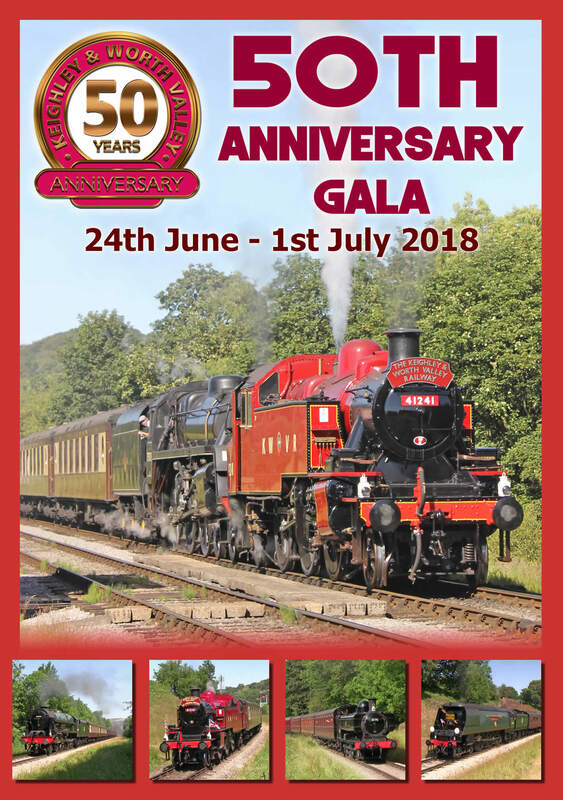 June 2018 saw the Keighley & Worth Valley Railway celebrate its 50th anniversary of hauling passenger services along the picturesque 5 mile route between Keighley and Oxenhope. 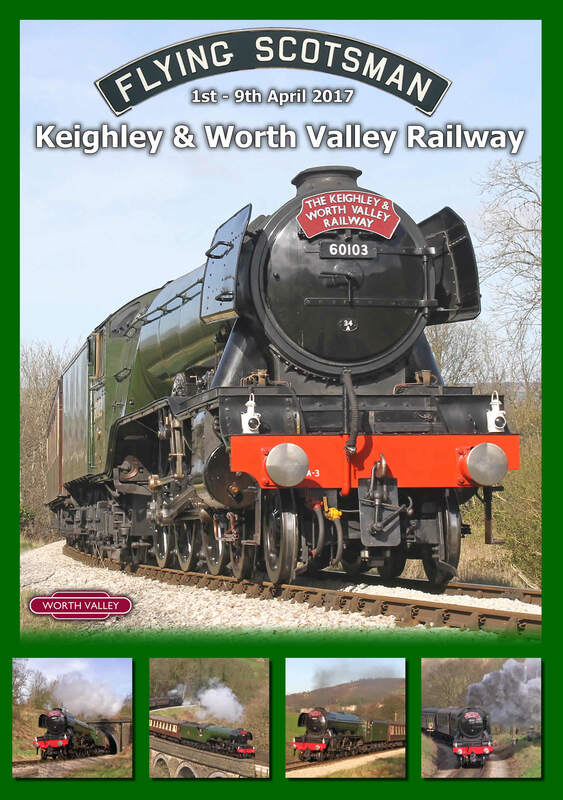 First opened in 1867, the Keighley & Worth Valley Railway was built to serve the mill owners and small towns of the Worth Valley. The railway continued to run until the 30th December 1961 when British Railways withdrew passenger services, regular freight services continued to operate until the 18th June 1962. 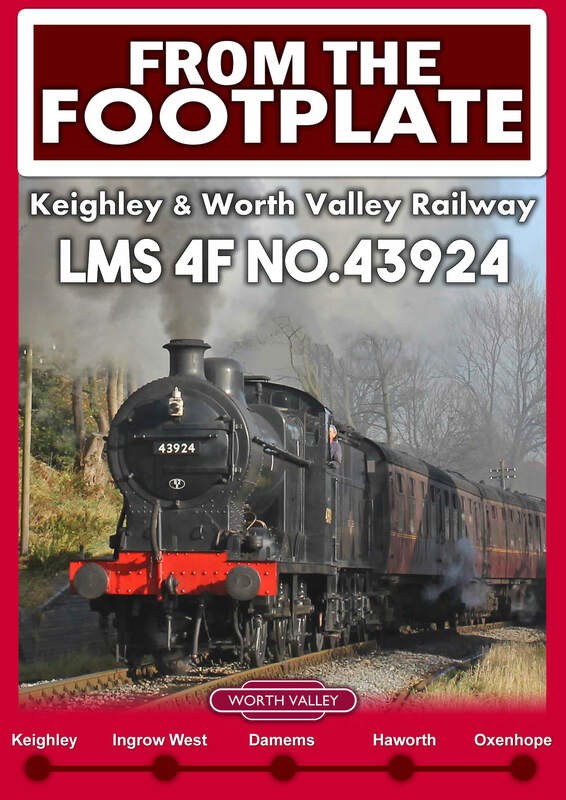 Having closed to regular traffic, one final service ran on the 23rd June 1962 to celebrate the newly formed Keighley and Worth Valley Railway Preservation Society, whom chartered a special passenger train from Bradford to Oxenhope and return. After this train the section between Oxenhope and Ingrow Junction was completely closed. A preservation society was formed in 1962 of rail enthusiasts and local people which bought the line from British Railways and reopened it on 29th June 1968 as a heritage railway. Running under cloudless skies, the railway celebrated their 50th Anniversary with an 8-day long gala showcasing all that they've achieved as a Railway over the last 50 years. From humble beginnings with smaller engines, to bigger steam locomotives and diesels. The 8-day long gala featured several different events, allowing each day to celebrate a different piece of history and achievement of the Worth Valley. Returning to steam after overhaul at Haworth was the railway's flagship engine, LMS Ivatt Tank No.41241. Chosen to haul the re-opening special in 1968, No.41241 returned carrying its LMS crimson lake with KWVR crest livery. Hauling services on this day of the event were 41241, 34092 'City Of Wells', 45212, 5820 and 75078. Visiting the railway for the first time, LMS 7P No.46100 'Royal Scot' hauled passenger services from Keighley to Oxenhope. A wide range of other services also ran between Keighley & Oxenhope. Hauling services on these 3 days of the event were 46100 'Royal Scot', 41241, 34092 'City Of Wells', 45212, 75078 and 43924. Throughout its early life the KWVR relied heavily on smaller tank engines. With shorter trains than what are run today, these engines, whilst not entirely suitable to operating a 5 mile passenger railway, were the mainstay of the railway, and this day was dedicated to the small engines that kept the railway going in those early days. Hauling services on this day of the event were 41241, 43924, 7714, 1054, D0226 'Vulcan' and Shunter D32. After 50 years of operating services, the 29th June 2018 marked the official 50th Anniversary since re-opening in 1968. The day saw a wide range of celebrations, including a naming ceremony of a GB Railfreight Class 66 No.66784 at Keighley, the locomotive was named 'Keighley & Worth Valley Railway 1968 - 2018'. At 2:35pm, Ivatt Tank No.41241 departed Keighley with a re-enactment of the first passenger service in 1968, complete with the original 1968 headboard, flags and crew, LMS 2MT No.41241 headed for Oxenhope. Hauling services on this day of the event were 41241, 7714, 5820, 45212, 34092 'City Of Wells', Class 25 059 and GBRF Class 66 No.66784. The Railway has never just been about steam locomotives. In the late 1950's even before the railway was closed, class 108 Diesel Multiple Units were often seen on the line. The Railway is also proud to host many ex shunting locomotives, as well as prototype D0226 and class 20, 25 and 37 diesels alongside their impressive collection of steam locomotives. Throughout the main part of the day steam locomotives hauled the passenger services, during the afternoon the steam engines retired to Haworth and the several diesels at the railway replaced them on the passenger services. Hauling services on this day of the event were 41241, 1054, 43924, 7714, 45212, 34092 'City Of Wells' and Class 37 075. The final day of the event celebrated the 'Diesel Era' of the KWVR, having been one of the first heritage railways to host a "Modern Traction" event, the railway welcomed a series of visiting locomotives to star alongside the impressive home fleet of diesels. Hauling services on this day of the event were 50035 'Ark Royal', 37075, 37401 'Mary Queen Of Scots', 55019 'Royal Highland Fusilier', 20031, 25059 and 66784 'Keighley & Worth Valley Railway 1968 - 2018'. Footage is included from each of the events during the 8-day long event. 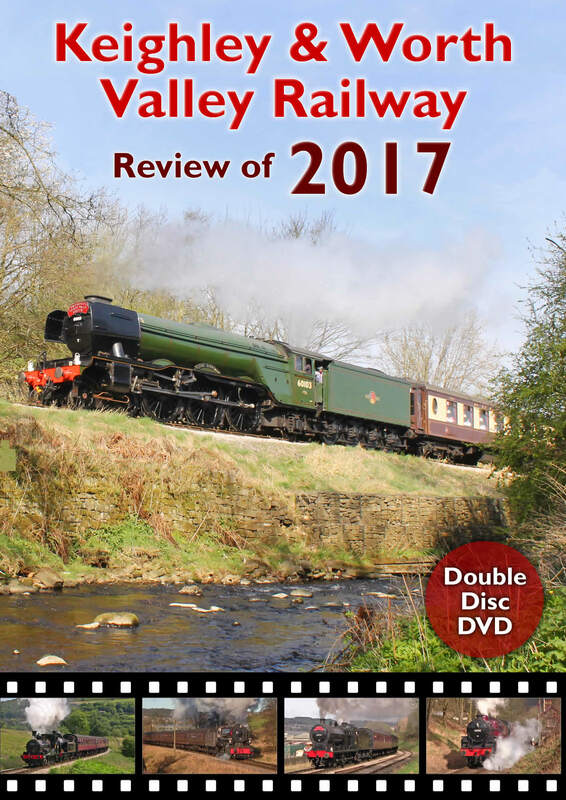 A wide collection of steam, diesel, express, passenger and freight services are featured throughout the DVD. The DVD lasts approx. 101 minutes and is available in UK 16:9 Widescreen PAL format only. The DVD is priced at £12.95 which includes free P&P.